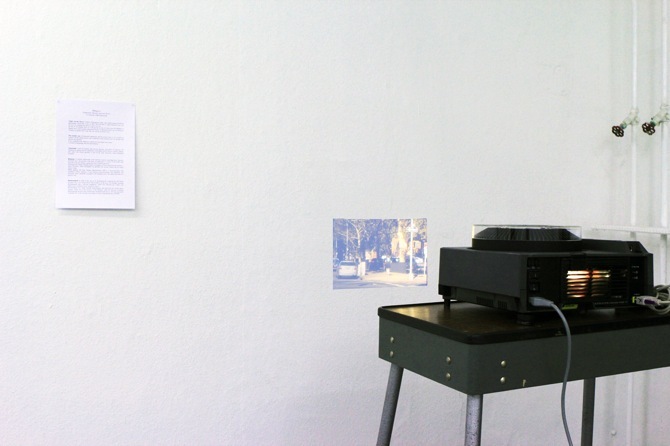 During the opening of the exhibition, the artists Moritz Frei sits in front of desk inside a small and dark niche. An office lamp lights the table. 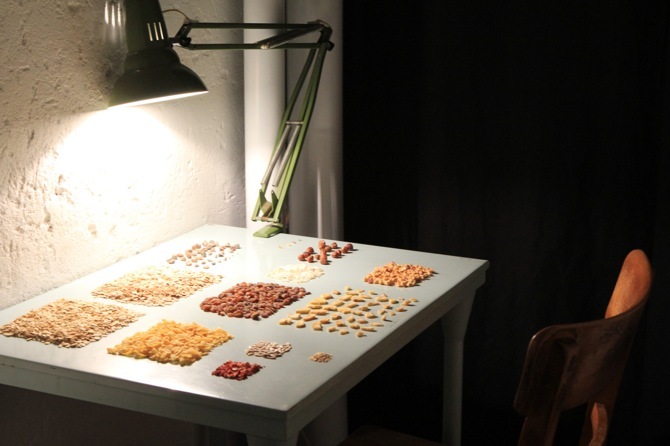 He slowly empties the content of a cereal box and separates nuts, raisins, grain in small squares, neatly arranges them by size and type. The monotonous task takes him four hours. 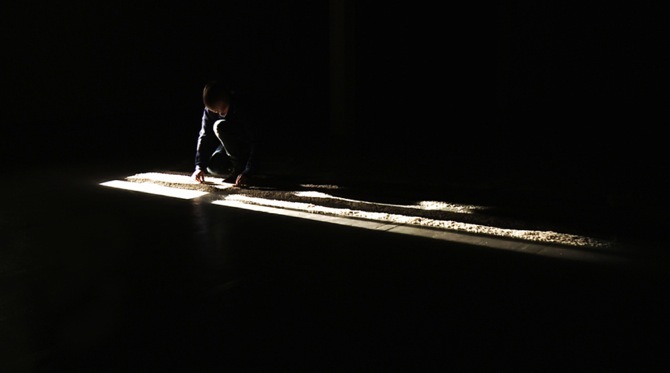 Frei's performance “Divide et impera” (a Latin phrase meaning "divide and rule") emphasises the contradiction of dissipation: the organising of a chaotic and entropic system on the one side and the liberty of wasting time with an ostentatiously useless occupation on the other. As for the absurdity in his occupation, his ironic comment also applies to the nitpicker – an allegory of a pedant of formal bureaucracy. 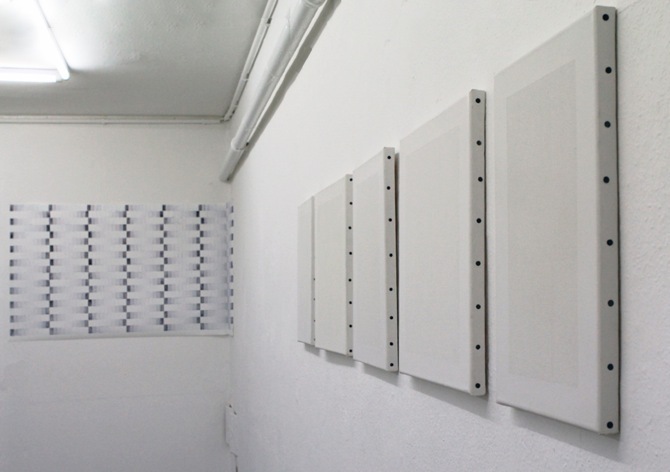 The aspect of repetitive production in Frei's performance is also targeted in the five white and plain canvases by Isabelle Giovanicchi. 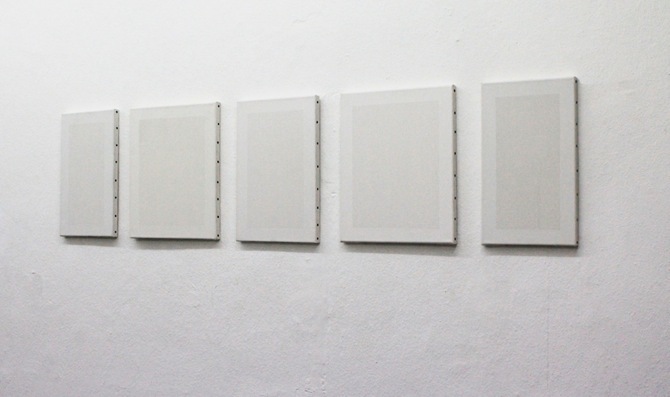 While the performance ends in an absurd, but nevertheless strikingly aesthetic object, Giovanicchi' series "about:blank" has – as the title suggests it – an almost invisible surface. Transforming the process into a daily ritual, the artist accurately punctured each canvas in a geometric pattern. 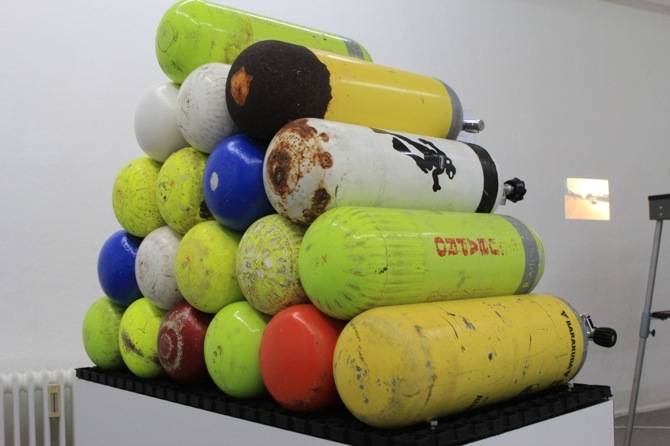 While both, Frei's cereal-environment and Giovanicchi's pierced canvases appear to be the result of an autistic repetition compulsion, the object "From Cologne to Bonn" by Klara Hobza refers to an athletic ambition: a staple of colourful oxygen bottles visualise the amount of oxygen needed, if she would dive from the city of Cologne to Bonn. Hobza’s long-term project "Diving Through Europe" approaches manual labour as a training – from the perspective of competitive achievements and the prevention of physical exhaustion. 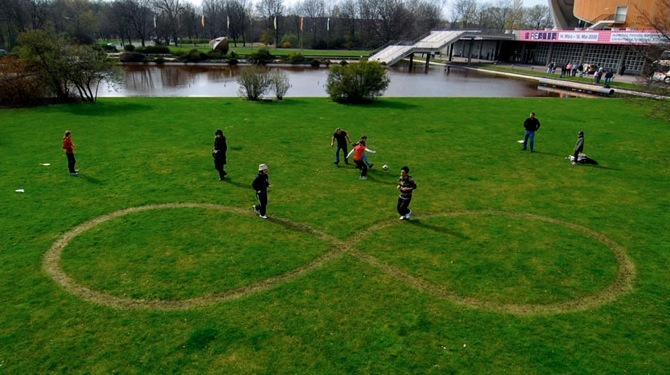 As particularly shown in Mai Yamashita & Naoto Kobayashi's film "Infinity in Berlin", in which the artists document people running on the lines of the infinity symbol (∞), most of the show's works highlight the value of the artistic process, as opposed to the value of a finished product. They challenge the definition of time-waste and reconsider strategies of productivity and efficiency. 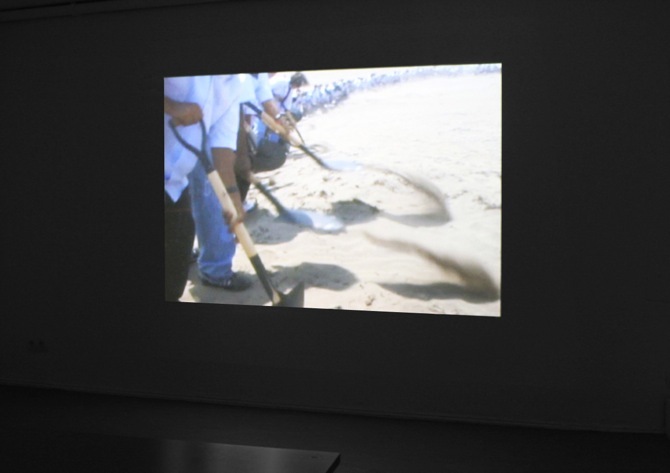 Ironically, the show "Tireless Workers" appears to pledge itself to the necessity of idleness in artistic production: of slowing down, of pondering and of conscious decisions. The luxury (and the burden) of creativity. with works by Francis Alÿs (BE), David Brognon & Stéphanie Rollin (LU/BE), Moritz Frei (D), Isabelle Giovacchini (FR), Klara Hobza (D), Letizia Romanini (LU), Takahiro Suzuki (JP), Guido van der Werve (NL), Mai Yamashita & Naoto Kobayashi (JP).